Welcome to World Missionary Press, Inc.
World Missi onary Press, Inc., founded in 1961, is an interdenominational service ministry producing topical Scripture booklets in more than 345 languages, along with Bible study booklets and New Testaments, for free distribution in 210 countries of the world. Letters and verbal reports confirm that God is using His Word in powerful ways to draw many thousands of souls to Himself. World Missionary Press operates by trusting the Lord Jesus Christ to raise up staff and volunteers and to provide finances through contributions from His people. 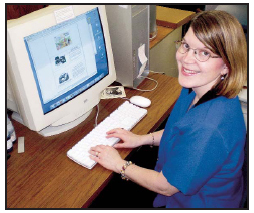 Scripture booklets are typeset on computer. In the Pre-press Department, after new languages are typeset, proofread, and corrected, they are sent directly from the computer to the CTP (computer to plate) machine. 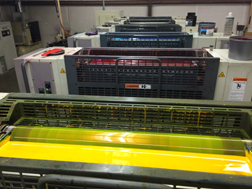 Our Man-Roland 6-color Press can print 2 over 4 colors at high speeds. What once took 14 hours to produce on the Hashimoto can be produced in 2.5 hours on the Man-Roland. 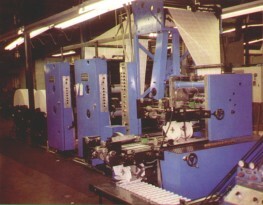 The Robertson-King web press produces and folds the insides of up to 60,000 Help From Above-size booklets (48 pages each) per hour. Our high-speed bindery collates, staples, and trims 30,000 booklets per hour. 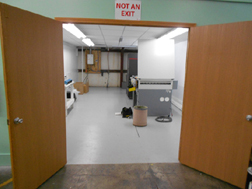 Much of the work at the bindery is done by volunteers. More than 700 volunteers from 106 churches help in the ministry. 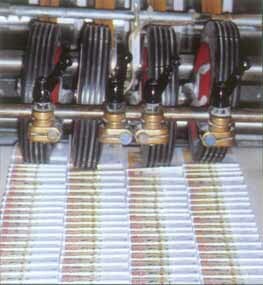 The slitter trims 500 Scripture booklets per minute. 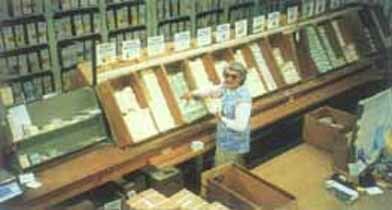 Millions of booklets per month are produced through World Missionary Press ministry. Ten-pound boxes of Scripture booklets are often stacked on skids and wrapped for shipment overseas. An average of 1.5 tons of literature leave World Missionary Press each working day. 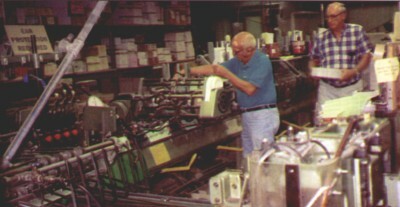 Mailing personnel, including volunteers, fill orders that come from the U.S. and overseas. Our goal is to produce and send as much of God’s Word as we can as economically as possible while we yet have freedom to do so. If you are in the area and would like a tour, please stop in, give us a call or email us. If it is a large group, please call in advance.